Manchester United are not interested to listen to any offers for versatile forward Anthony Martial, as they feel he is a vital cog in their side, and manager Jose Mourinho hopes to get the most out of the French international. Martial has been a source of interest for Italian side Inter Milan this summer, and the latest club to join the race is Premier League side Tottenham Hotspur. According to a report from Mohamed Bouhafsi of RMC Sport, Spurs made a formal bid for the youngster, but Mourinho’s side rejected it, as they do not want to entertain any business. Tottenham have failed to acquire a single player in the transfer window, as Mauricio Pochettino is confident of his side, but the team lacks depth in several positions. The Argentine regards Martial as an important target to plug in the holes in his attacking quartet, after missing out on Wilfried Zaha earlier. This is not it, as reports also suggest that the Europa League champions have also gone on to reject a loan offer with an option to buy for Martial from Inter. The Italian club wants the former Monaco star to be a replacement for Ivan Perisic if United get hold of the Croatian. The Mancunian club has already seen bids rejected for the experienced campaigner. Mourinho recently stated that his club has done 75% business, and will be happy if he manages to add a player to play wide, with Perisic being the main target. But Inter’s hard stance on a transfer valuation, and their desire to involve Martial as part of the deal, will make a move very difficult. Even if United fail to add a winger, the club has many options, and Jose is keen to put his trust on them. 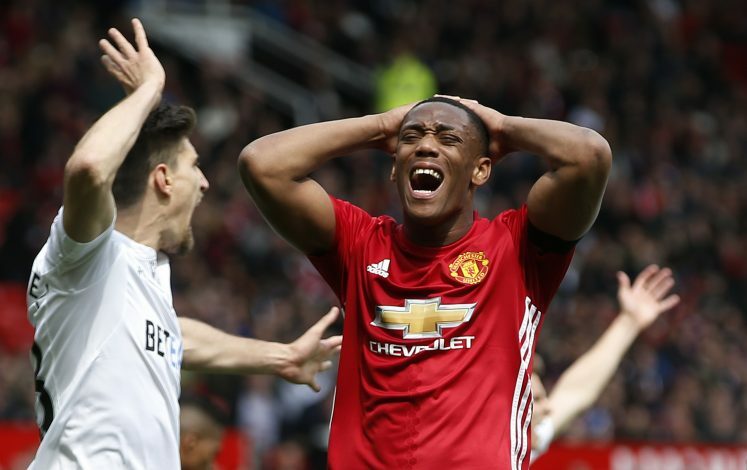 Martial, who impressed in the club’s summer tour of America, wants to be an integral part of Mourinho’s side, although featuring in the starting XI isn’t guaranteed. The player scored 8 goals in 42 appearances last term, and will hope to better the statistic this season.